Making time for sewing when you work in the quilting industry can sometimes be a real challenge... that is the #1 reason that my blog suffers from neglect - I grab every change I get to sew. I have block #7 of Patchwork Party '09 cut out almost pieced. It will be finished today & then back to the Scrap Quilt! Looking back on last year, with all the customer work out of the house, sometimes it seems as if I didn't accomplish a whole lot... then I looked at the pictures. Truly, this was the biggest quilting challenge that I worked on in 2010! A lone star block. The center was all I had to work with. It was authentic 1930's and was literally covered with tangled threads and in very poor repair... Some soul had decided to wash it and then folded it and put it away. It was entirely hand pieced and after working on it for a while discovered why it had never been completed. The only thing I'm sorry for is that I did not take a picture of it in it's pitiful beginning condition. After clipping all those thread clumps, I took an evening and repaired every split seam.... This picture is after the top was assembled. I hated to do it, but I had to take my rotary cutter to it to straighten it up (as best as possible) and then sew it in. Truthfully, this went better than expected. After it was all assembled I took it to the longarm and decided that because I knew it was going to have some waviness to use two layers of batting (thanks to a dear friend's advice :).... one of puff and another of warm & natural. This worked! You could literally see the batting filling in the slack as I went along. Hope you enjoy seeing the finished quilt with some close ups of the quilting. I am truly very proud of the finished work on this one and I understand the recipient of this beautiful gift was quite pleased!! Love the feather border result! Back ... can see the continuous curve in the setting star. WOW! 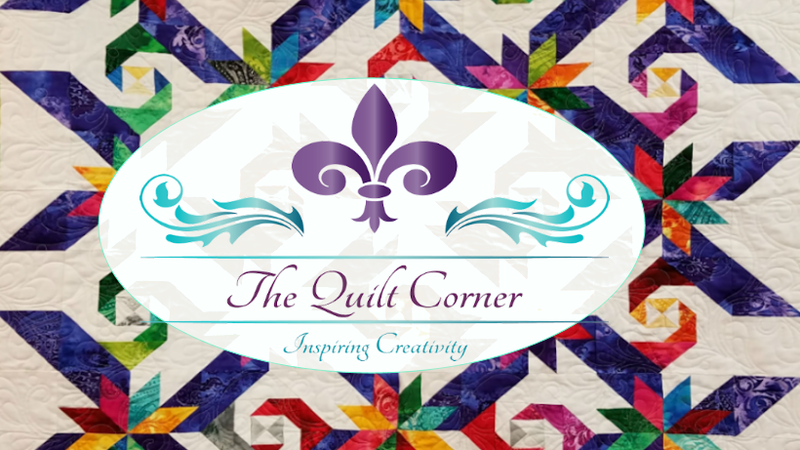 The quilt is gorgeous & your quilting really stands out. Congrats on a finish to a challenging project!